New editions of the great heraldic works from the past. J.H. Stevenson's Heraldry in Scotland is a classic treatise on Scots heraldry. 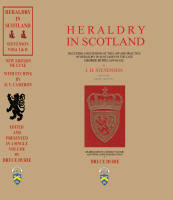 It deals with all aspects of rights to Arms and legal aspects of heraldry in Scotland more extensively than Innes of Learney's later Scots Heraldry and follows on from George Seton's 1863 Law and Practice of Heraldry in Scotland, Nisbet's 1722 A System of Heraldry and McKenzie of Rosehaugh's 1680 Scotland's Herauldrie. This book is a recreation of the 1914 Maclehose edition, with line drawings and illustrations in black and white. The colour versions are available for free download here. Interested in Heraldry? Like A GOOD CHUCKLE? This gem from 1878 puts it in perspective. 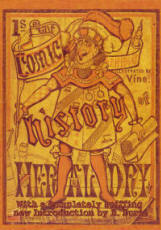 The Comic History of Heraldry is a timeless classic that deserves a place on every bookshelf. Plus… a mystery solved – who was the original author?